Everyone is putting out their own Christmas Gift Guide around this time of year so why not me. This is going to be a very eclectic mix of gifts, mainly because I like so many different things. I own Kelly's first book, Becoming a Supple Leopard and it is my bible for when I am sore or want to improve my clients and my own movements. I only just received Ready to Run in the mail, but you should have it on your list of must have reading whether you enjoy running or not. I say that because if you don't like running it may be because you are not doing it very efficiently. The Paleo Approach is definitely on my list of books to get. Sarah is very respected within the Paleo realm and this book is very informative regarding the foods recommended in the Paleo diet and the ways that they can improve your health and wellbeing. The VIRUS Airflex Training Shorts are the best pair of shorts that I have ever worn. Whether I am paddling, running, lifting or just travelling they have no peer. They do not chafe when wet whether in the surf or freshwater. The fact that you can squat in these without having to pull them up prior, is something that you take for granted when not wearing them. When you find yourself not wearing them and training, it is time to buy another pair. Get yours direct from The SUP'ing Caveman or from the VIRUS Australia site. Not quite going to fit into any type of stocking and won't pass the "only $50 spend policy" but if you are lacking storage space, roof racks and like a good warm up prior to paddling then get yourself one of these Naish inflatables. At 12'6" it is a great size to allow you to do pretty much anything from a casual touring paddle, taking the kids out on the water to racing and fitness training.Team it with a 3 piece paddle and you are good to go wherever you may travel. They also have a comprehensive range of other inflatables if a 12'6" is not your cup of tea. Whether it be the Mako Time Trial fin, Mako 37 or the Mako 44 you are going to be getting the highest of quality fins on the market. Better yet you are supporting an Australian business. I reviewed the Mako Time Trial late in November and loved it. If you are in and around the Canberra area drop into Wetspot Water Sports and get one or from your local SUP Shop. If you want a light, comfortable and chafe free paddling experience then look no further than the Vestpac Wilson Pac. Enough room to get you by and enough capacity in the bladder to make most short and middle distance paddles a doddle this is a great all round hydration pack. The chafe free part is the best feature for me. Available from your local SUP shop or contact Rob Cribb at Water Shack for more information. Be aware the link takes you to the USA site. I recently had the opportunity to review this watch for a month and it is fantastic. 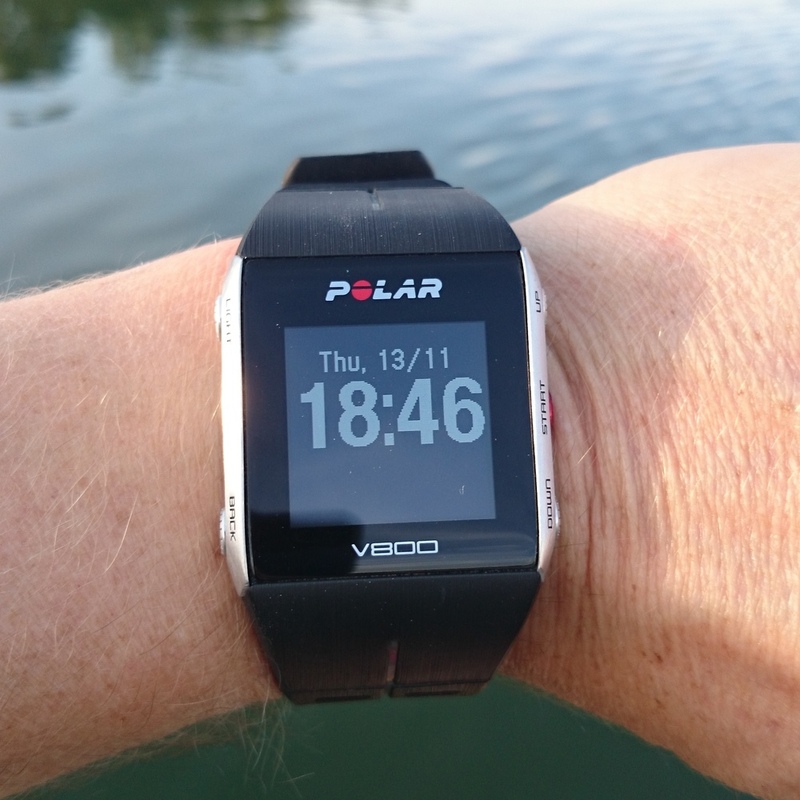 For the casual paddler interested in improving their fitness to the top flight athlete, the Polar V800 will do the job and look good doing it. Easy to use and big enough that you don't have to squint to see it but small enough that it doesn't look like a wall clock on your wrist. My favourite feature is that it vibrates as well as emitting an audible tone for warnings. This is especially handy when performing any intervals that you can program into the watch. No more constantly looking at your watch to check that you are in the right HR Zone or how much longer that sprint is going on for. Keep an eye out for the in depth review that will be going live any day now. Last week we had our first XSAC Game and it was easily the most fun I have had with my pants on. Originally developed by Justin Van Dyck and the guys and girls at X Stand Up Paddleboard to aid in balance and skill development it has now turned into a new sport and with league starting to pop up in and around California. For our Australian league we have given it a more the rules a more Aussie flavour. Keep an eye on the site for some videos and photos of us going nuts for this game in the meantime just check out our article and video from earlier in the year here. Want your own XSAC? Contact us by email or at 0410 432 177 and we will get one to you. You can keep your coffee capsules, plungers and home barista machines. Give me an Aeropress any day of the week. Combined with high quality beans and better yet a hand or electric grinder you are not going to get a better quality coffee experience unless you visit your top local barista. If you are a Bulletproof Coffee convert like me then you MUST try this butter. That is all. This butter is hand made, is a creamy and soft as butter should be and can be purchased salted or for the best bulletproof experience, unsalted. The best part is that the girls and guys from the Myrtleford Butter Factory actually ship the butter to your door. I am just lucky that I have family in the area who don't mind lugging around a kilo of butter for me.